Pyramid Garden Bed for herb garden from Ciliberto's Woodworking. 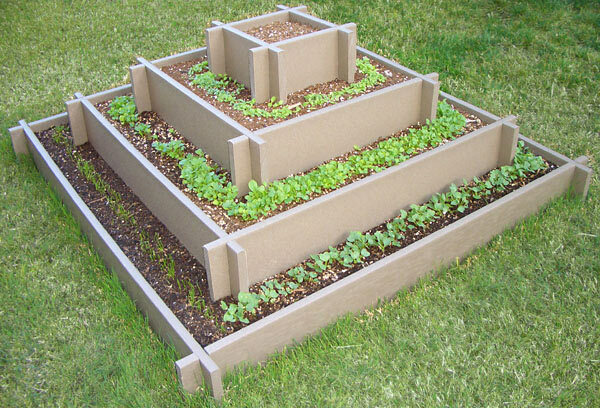 Pyramid raised garden beds are constructed from 1 inch Vermont white cedar. The bottom tier is a four foot square, second tier is three foot square, third tier is 2 foot square, top tier is 1 foot square.